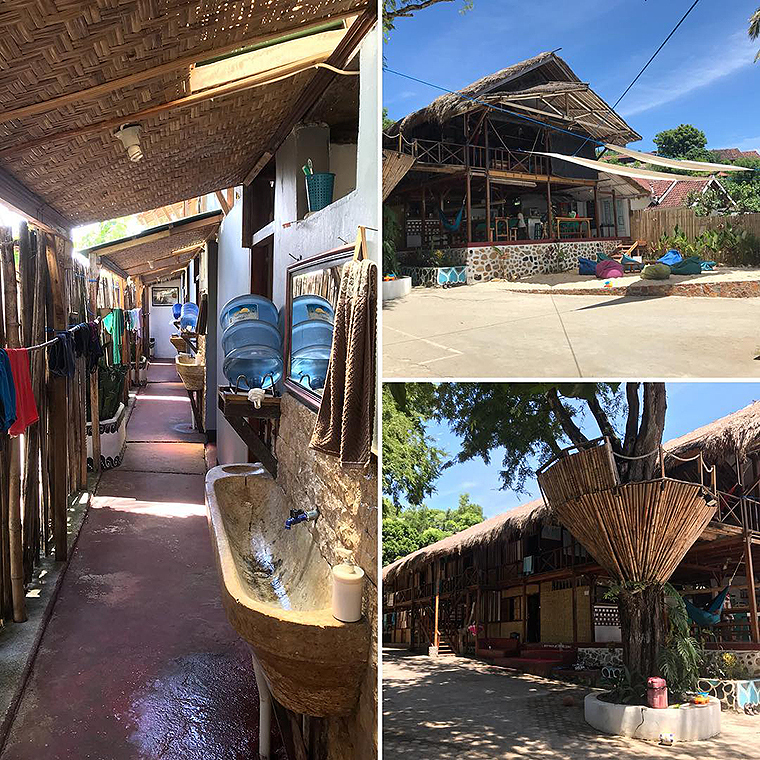 Our longhouse is located right on the beach, this house has been custom built to facilitate your surf camp journey with a ground level BAR/CAFE and upstairs chill-out terrace facing the ocean. 1st floor rooms are double/twins while upstairs are mixed dorms. The toilets/showers are located along the side with direct access from both floors, we also have a yoga shala and skate bowl in our garden.